Les Dames d'Escoffier Chicago Chapter. Powerpoint Exhibition. Listen to "Pictures at an Exhibition" (Mussorgsky) as you browse. 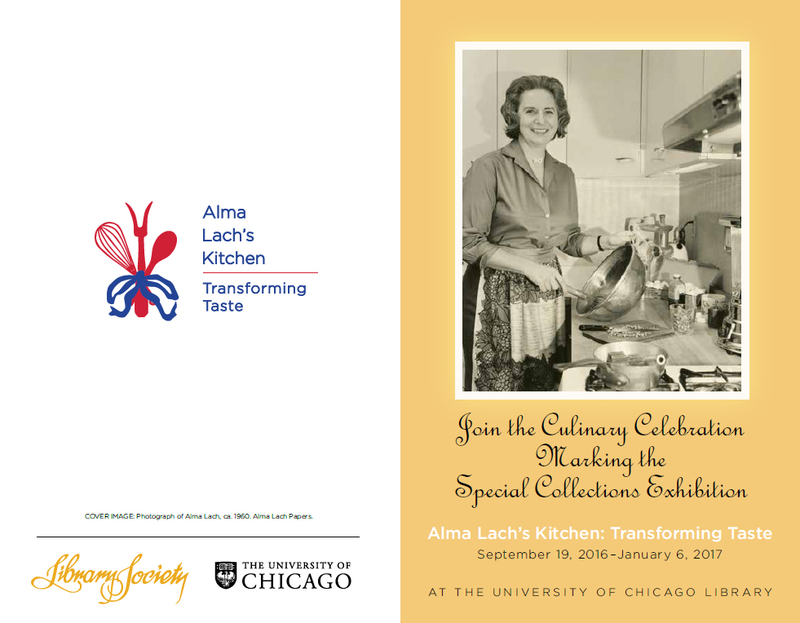 Fine music to accompany fine food, some of Alma's favorites! Telemann, selections: 1, 2, 3. Phantom of the Opera, selection. Link to display from party at Quadrangle Club, November 2, 2016. Link to display from memorial service at the University of Chicago Quadrangle Club, June, 2014. (with Foreword by Andre Simon ). Pate de Foie de Volaille, p. 416. Full texts available at Lulu.com, in pdf format. 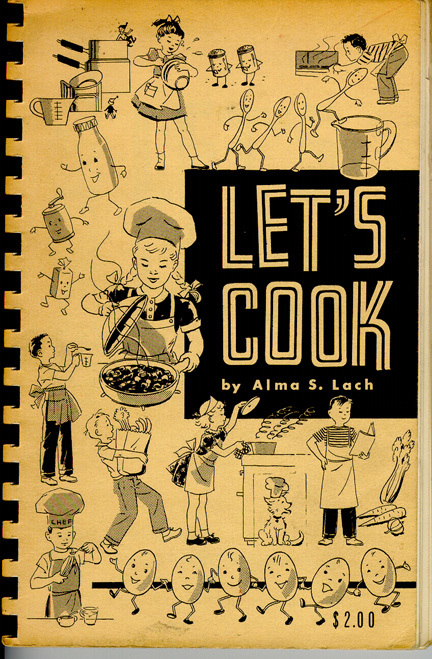 Let's Cook, 1956 (out of print); cover of this book for older children. 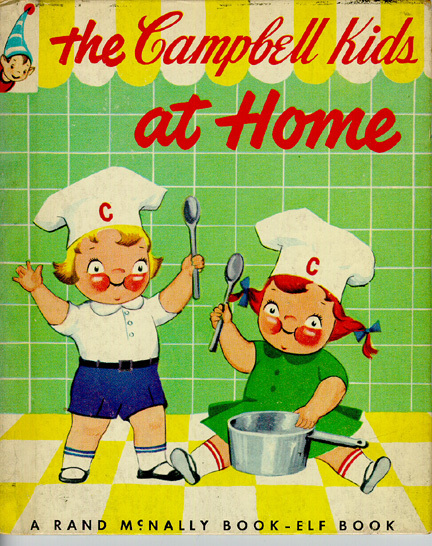 The Campbell Kids at Home, 1953 (out of print); cover of this Rand McNally Elf Book for young children. 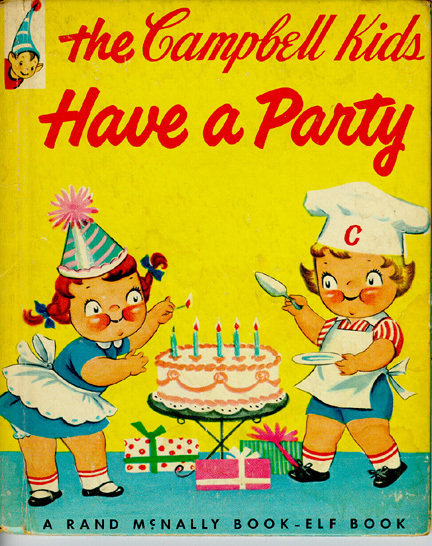 The Campbell Kids Have a Party, 1953 (out of print); cover of this Rand McNally Elf Book for young children. Television Show: Let's Cook, starring role, 1955. One of the first Americans to hold the highest degree in cooking from the Cordon Bleu School of Cooking in Paris, France (Grand Diplome, 1956). 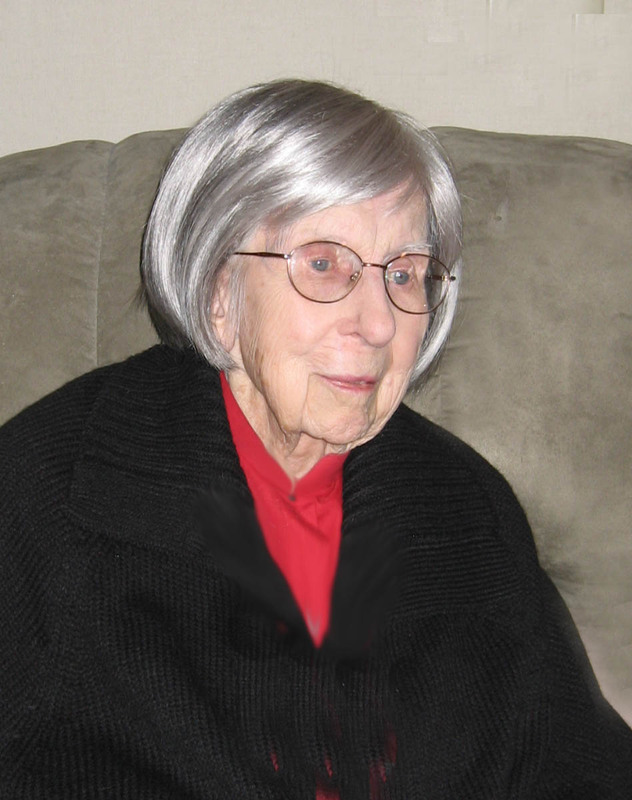 One of the first American women to be inducted as a full member of the Chevalier du Tastevin and knighted in full regalia in a ceremony at the Clos du Vougeot, in France, in 1962. 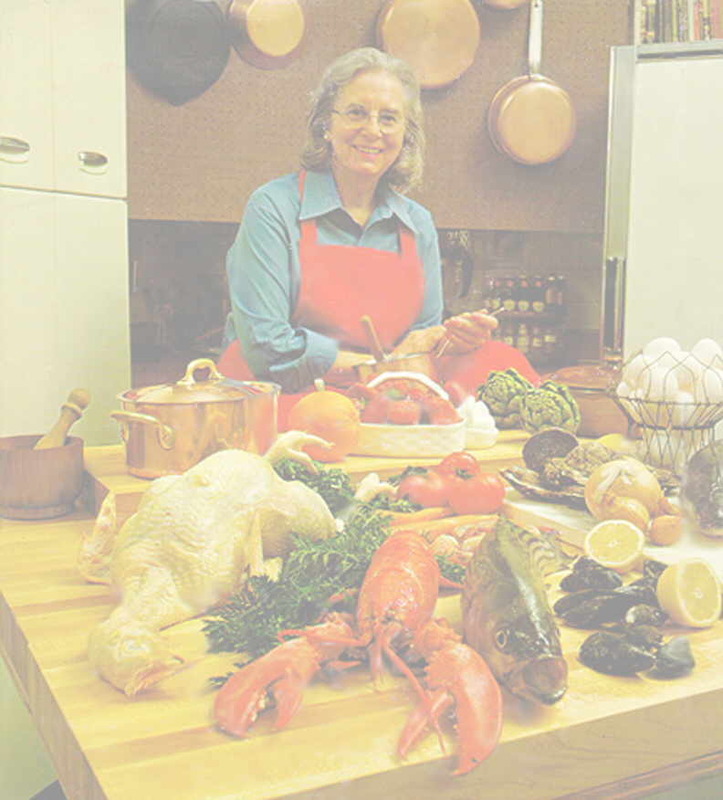 Hows and Whys of French Cooking, and its predecessor (both with Forewords by Andre Simon and a chapter on wine by George Rezek), is the first French cookbook published by University of Chicago Press, 1974. Let's Cook, a very early television cooking show for children, first of WTTW (telecast from the Museum of Science and Industry) and subsequently by WGN, 1955. 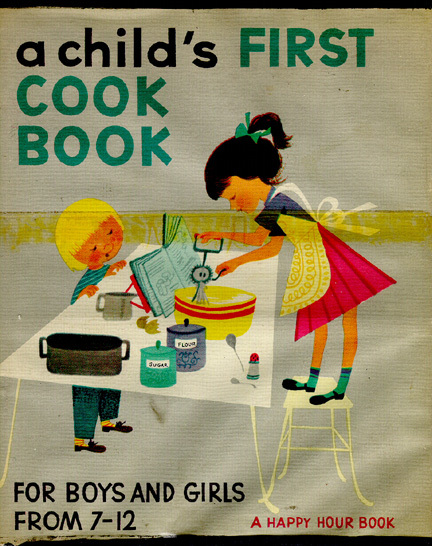 A Child's First Cook Book is one of the first children's cookbooks (1950); an eight-page photographic essay was devoted to it in Life Magazine. BIOGRAPHY FROM Who's Who in America, 1997. 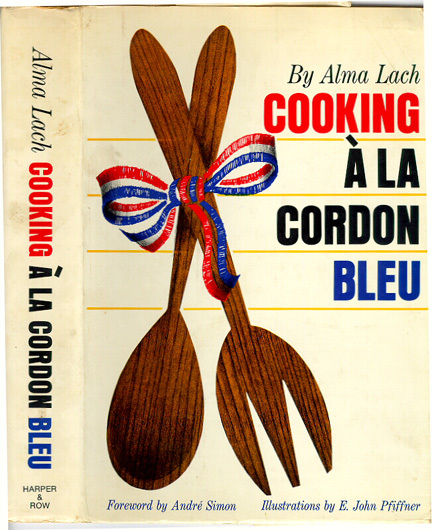 Lach, Alma Elizabeth, food and cooking writer, consultant; b. Petersburg, Ill.; d. John H. and Clara E. Satorius, diplome de Condon Bleu, Paris, 1956; m. Donald F. Lach; 1 dau, Sandra Judith; Feature writer Children's Activities mag., 1954-55; creator, performer TV show Let's Cook, children's cooking show, 1955; hostess weekly food program on CBS, 1962-66; performer, TV show Over Easy, PBS, 1977-78; food editor Chgo. Daily Sun-Times, 1957-65; pres. 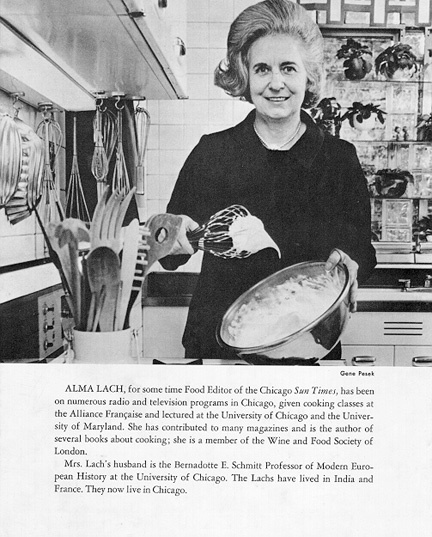 Alma Lach Kitchens Inc., Chgo., 1966---; dir. 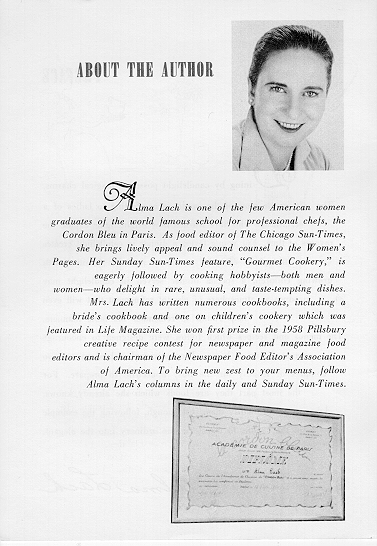 Alma Lach Cooking Sch., Chgo; lectr. U. Chgo Downtown Coll., Gourmet Inst., U. Md., 1963, Modesto (Calif.) Coll., 1978, U. Chgo., 1981; resident master Shoreland Hall, U. Chgo., 1978-81; food cons. Food Bus. Mag., 1964-66; Chgo. 's New Pump Room, Lettuce Entertain You, Bitter End Resort, Brit. V.I., Midway Airlines, Flying Food Fare, Inc., Berghoff Restaurant, Hans' Bavarian Lodge, Unocal '76, Univ. Club Chgo. ; columnist Modern Packaging, 1967-68, Travel & Camera, 1969, Venture, 1970, Chicago mag., 1978, Bon Appetit, 1980, Tribune Syndicate, 1982; inventor: Curly-Dog Cutting Bd., 1995. Recipient Pillsbury award, 1958; Grocery Mfrs. Am. Trophy award, 1959, certificate of Honor, 1961; Chevalier du Tastevin, 1962; Commanderie de l'Ordre des Anysetiers du Roy, 1963; Confrerie de la Chaine des Rotisseurs, 1964; Les Dames D'Escoffier, 1982; Culinary Historians of Chicago, 1993. Mem. Am. Assn. Food Editors (chmn. 1959). Clubs: Tavern, Quadrangle (Chgo.). 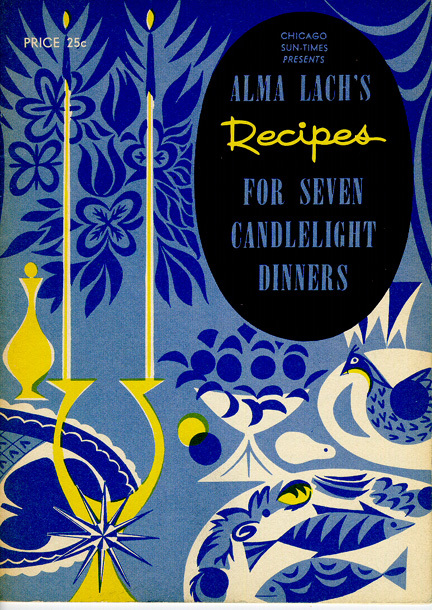 Author: A Child's First Cookbook, 1950; The Campbell Kids Have a Party, 1953; The Campbell Kids at Home, 1953; Let's Cook, 1956; Candlelight Cookbook, 1959; Cooking a la Cordon Bleu, 1970; Alma's Almanac, 1972; Hows and Whys of French Cooking, 1974; contrbr. to World Book Yearbook, 1961-75, Grolier Soc. Yearbook, 1962. Home and Office: 5750 S. Kenwood Ave Chicago IL 60637-1744. Web Design by Arlinghaus Enterprises.